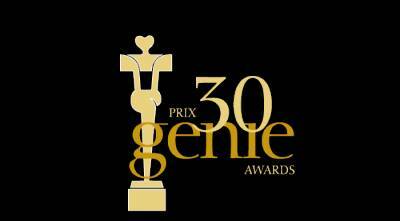 Denis Villeneuve's Polytechnique was the big winner on Monday night at the 30th Annual Genie Awards ceremony, which took place this year in Toronto. It won a total of nine of its eleven nominations, including Best Motion Picture, Achievement in Direction (Denis Villeneuve), Original Screenplay (Jacques Davidts), and Performance by an Actress in a Leading Role (Karine Vanasse). The film is a moving and powerful testament to the victims and survivors of the tragic Montreal Massacre of 1989, and managed the seemingly impossible feat of creating a beautiful work of art based on such a horrific event. I chose it as one of my top 10 films of 2009 and am in complete agreement with its many awards. There had been some controversy leading up to the night since some felt that the festival darling J’ai tué ma mere (I Killed My Mother) was snubbed when it received no nominations. The only award it received was the previously announced non-competitive Claude Jutra Award for first-time filmmaker. I think the Academy got it right as the film is excellent for a first feature, but flawed in many respects. The accusation of anti-Quebec sentiment is proven to be utterly ridiculous with the sweep by the superior film Polytechnique. The Best Actor Award went to Joshua Jackson for his fine work in the excellent road movie One Week. He attended the ceremony with his girlfriend Diane Kruger from Inglourious Basterds. Two Irish co-productions came away with wins. Love & Savagery's Martha Burns took Best Supporting Actress while Fifty Dead Men Walking won for Best Adapted Screenplay and Best Art Direction.